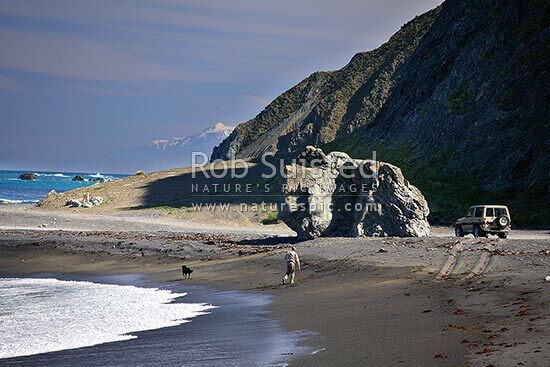 A man exercising dog on a remote Wellington South Coast beach. 4WD, 4x4, four wheel drive vehicle. Snowy Kaikoura Ranges beyond, Wellington, Wellington City District, Wellington Region, New Zealand (NZ), stock photo.